This module handbook contains information and advice in relation to the dissertation which you are required to undertake as a core part of your course (Module ACSS614). The dissertation is a double module worth 30 credits and as such it represents a quarter of the Level 6 credits you need to complete your course. The handbook will provide you with essential information about what you need to do to satisfy the assessment requirements for the module, and it also provides guidance on how to approach the dissertation. It attempts to offer a route map through the completion of a dissertation, and establish the layout, structure and framework of the dissertation. However, you should not rely on the module handbook as the sole source of information for the dissertation. You will need to acquire one or more of the recommended text books to obtain more detailed guidance. Select a subject area suitable for exhaustive and in-depth analytical study. Formulate research goals in the form of an aim, objectives and key questions. Develop a research design and methodology appropriate to the research goals. Manage the process of independent research. Synthesise information from a variety of sources and analyse the results. Draw conclusions which are supported by evidence from the research, and are linked to the research goals. Report the findings of the research effectively in good written English. The dissertation is likely to be the most challenging piece of work which students undertake in their course, yet if it is approached in the right way it can also be the most rewarding. It provides an opportunity for students to undertake a theoretically informed and rigorously researched investigation of a topic within their subject area. It represents a significant piece of self-directed research in which students are expected to demonstrate their ability to perceive, analyse and comprehend a relevant issue in order to reach informed and well supported conclusions to the arguments advanced. In most other modules on your course the assessed work relates directly to the content of the module and the coursework brief is provided to students. The dissertation is different – it is a major piece of self-directed research. 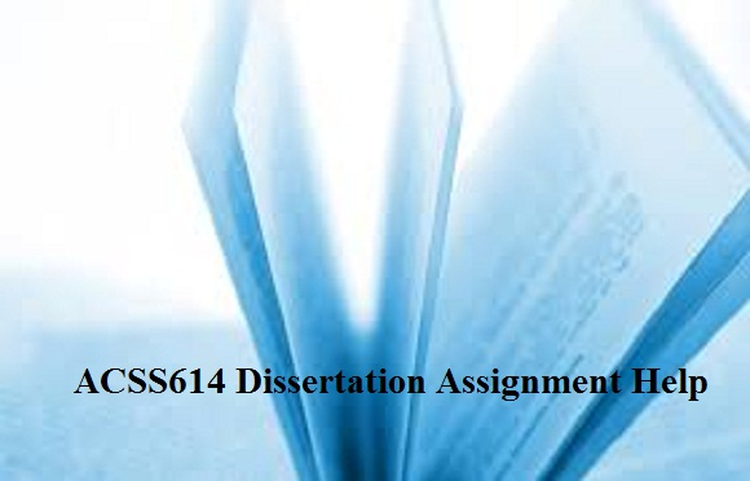 Responsibility for undertaking the work for the dissertation lies with the student. Indeed a major aspect of the learning which takes place involves the development by students of skills in self-management, independent learning and research. The module will equip students with the basic skills and knowledge to embark on this process, including the learning skills and research methodologies appropriate to undertake research. What is the issue or problem which will provide the basis for your dissertation? Why have you chosen the topic? How does the topic relate to your course? What do you think will be gained by undertaking the research, in terms of the benefits gained or the contribution your findings might make? How do you anticipate the research will be carried out? What will your main data sources be? What are the likely difficulties or challenges? Do you have any preferences for supervisor? The interim submission represents the most important ‘staging post’ in the dissertation process. It will provide an opportunity for you to receive detailed feedback on your progress and further guidance on what you need to do to complete the dissertation. The interim submission is a formal submission which will be assessed in accordance with the criteria outlined below. The mark allocated for your interim submission will have a weighting of 10% of the overall module mark. You must not view the interim submission as being work which is separate to the requirements of the dissertation itself. Provided your interim submission is appropriate, then it will be perfectly acceptable to include much of the content of your interim submission in your final submission. An outline of your proposed research methodology, explaining the design and anticipated approach to your primary data collection. A timetable for the remaining work required to complete your dissertation. Topic selection. Definition of research goals. Scope of the topic. Selection and justification of appropriate methodology. Linkage between the methodology and the research goals. Referencing system. List of references. Communication. Standard of English. Spelling & grammar. Structure and style. Clarity. Layout. Presentation. Evidence of forethought for the remaining work to complete the dissertation? Evidence of planning, with key milestones identified? This module is supported by a Blackboard site which can be accessed from within and outside the University. Blackboard is a virtual learning environment (VLE) and is designed specifically to support learning. You can navigate to Blackboard after you sign in at the University’s homepage. In order to use Blackboard you must be registered for this module. You will be denied access to it if your module registration is incomplete for any reason. It is your responsibility to ensure that you are fully registered for this module. Extensive help facilities on the use of Blackboard can be accessed directly from within the Blackboard environment. Most students taking this module will have no experience of undertaking a substantial research project previously. The dissertation, more than any other module on your course, provides an opportunity for you to develop skills such as analysis, evaluation and synthesis. Often the dissertation is viewed primarily as an academic exercise. It is certainly the case that you are required to comply with various academic procedures and conventions, but just for a moment consider the activities that you undertake in connection with your dissertation. In effect, you have to identify a problem, investigate it in detail, work out how you can find out more about the problem, design a method of finding out the information, implement the method, analyse the resultant information and reach conclusions to enable you to better understand the problem. Such skills are highly transferable in industry and the professions and are valued by employers. It is therefore important to view the dissertation process in context. The purpose of the dissertation is not for you to become an expert in your chosen topic, though that may well be a by-product of the exercise. The primary purpose of the dissertation is for you to develop the ability to investigate something systematically, to be able to rigorously analyse and critically evaluate information from a wide range of sources, and to design methods of data retrieval which will be appropriate and will enable you to find solutions to problems. It should be pointed out that, whilst the list of activities appears to be sequential, this will not necessarily be the case in practice. Many of the activities will overlap with each other or even run in parallel with each other. Furthermore, there will inevitably be some ‘looping’ backwards as earlier work has to be refined and adjusted to suit circumstances.